Harling Security are specialists in security gates for schools, colleges and Academies. Our school gates come in a wide range of designs, with basic designs being available off the shelf, but with most gates being bespoke and made to measure. 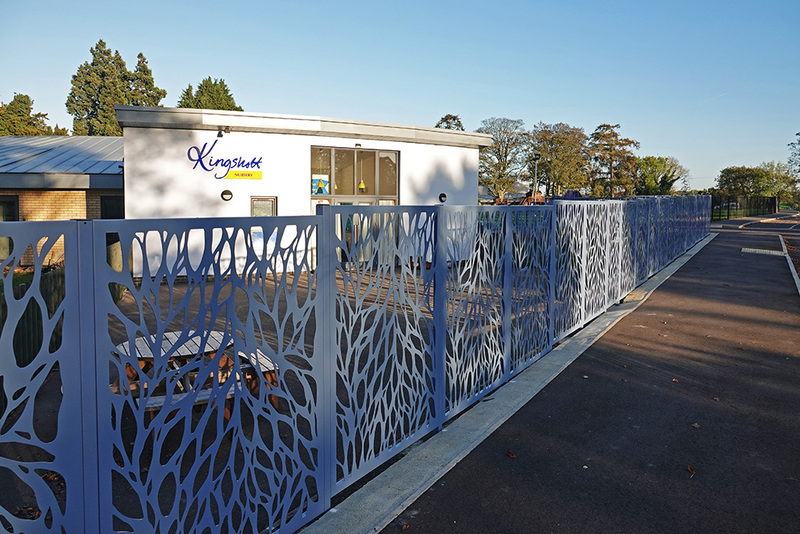 School gates are available for all educational requirements, from manually operated gates for school playing fields, through to fully automated entrance systems. School names and logos can be added to any of our entrance gates. Harling Security’s automatic gates comply with all relevant Health and Safety requirements and are fully commissioned and force tested upon completion, with all relevant documentation. In addition, we offer a unique child safe, triple protection system for our automated school gates to specially suit school environments. Decorative gates can be provided, either through manufacture and installation, or from our ready made range of attractive, secure gates. So you can keep your school or college looking attractive and inviting, rather than turning it into something that comes across like a US-style secure institution. Steel, stainless steel or timber material options. Gate can be made to match any type of fencing. Intercom systems (Wireless, GSM, video and audio).